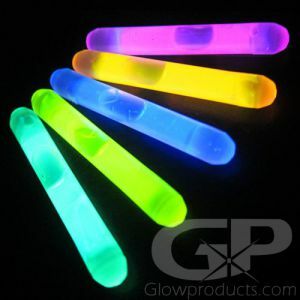 - Includes 15 glow Inserts for multiple plays! - Great for Putting and Chipping Tournaments! 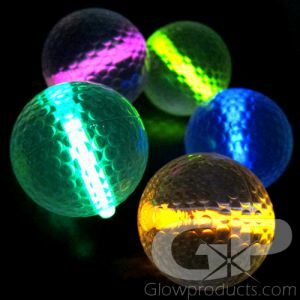 - Ideal for Backyard Glow Golf! It's time to set up your backyard glow golf course! 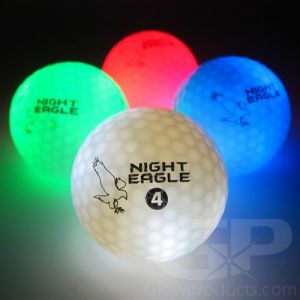 Our 3 Pack of Night Golf Balls is specially designed for putting and chipping and backyard night golf! 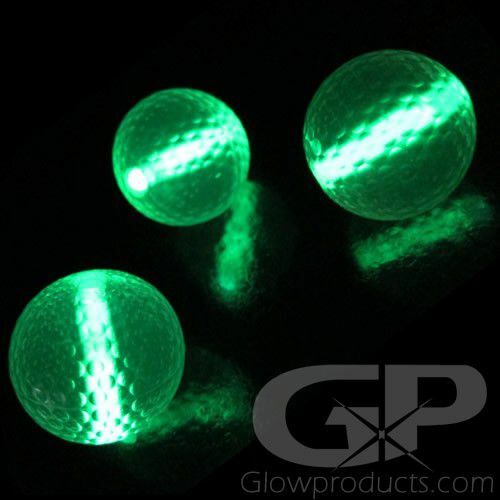 Each pack consists of 3 glow golf balls and 15 glow insert sticks so you can run your tournament or competition a few times. Practice putting late at night in your backyard mini-golf course! 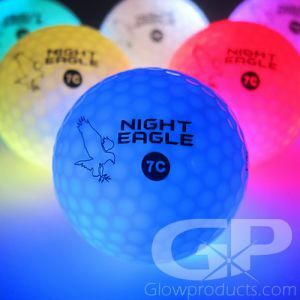 Note: The glow in the dark putting practice balls are made from a denser plastic and may chip or crack under full strength swings. These glowing practice balls also sink in water. 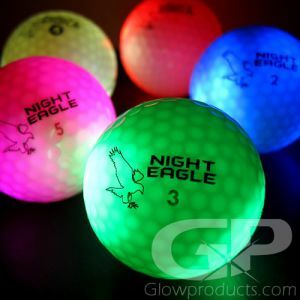 For regular play night golf balls, please check out the regular Glow in the Dark Golf Balls or the Battery Operated LED Golf Balls.